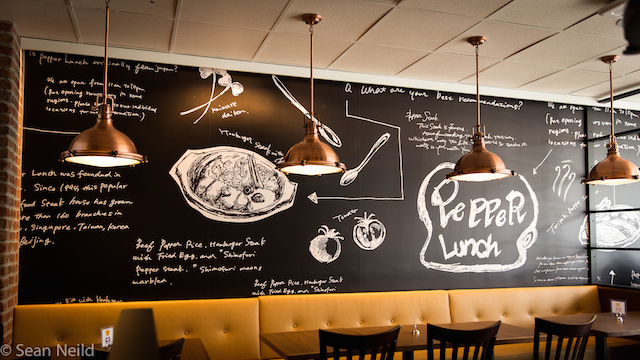 One of the most popular fast casual restaurants in Asia and Australia has now made the Lower Mainland home. 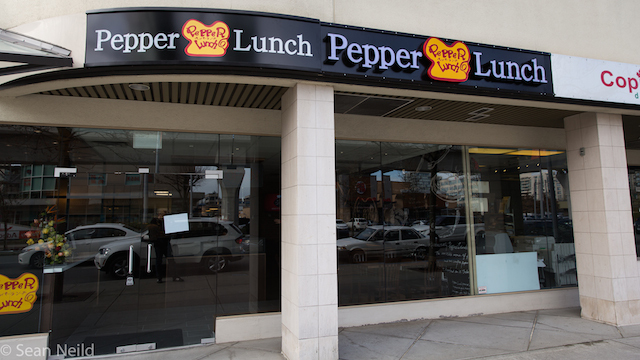 Pepper Lunch Canada has come to Richmond and soon to Vancouver. 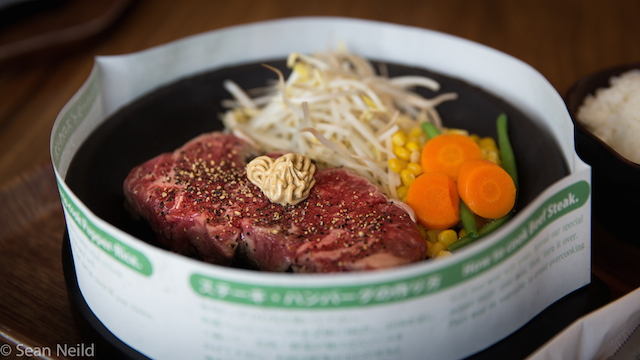 Some fans of the brand decided that it was time for Pepper Lunch to come to North America and so the journey began to bring this popular DIY sizzling hot plate phenomenon to hungry eaters that have never experienced it before – as well as giving the tons of Pepper Lunch fans a place to call home. This restaurant marks the 1st in North America. 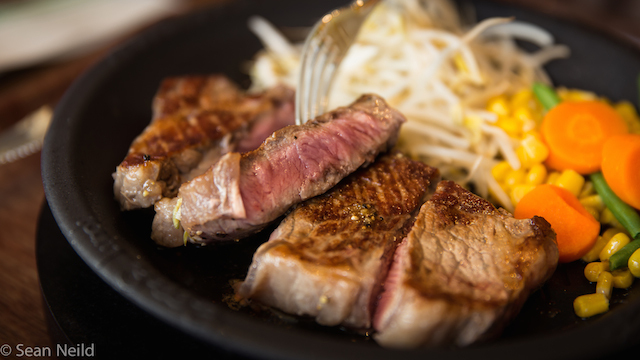 To tailor things to this different market, the owners have decide to only serve Canadian Certified Angus Beef and local sashimi grade Pacific salmon in the restaurant. 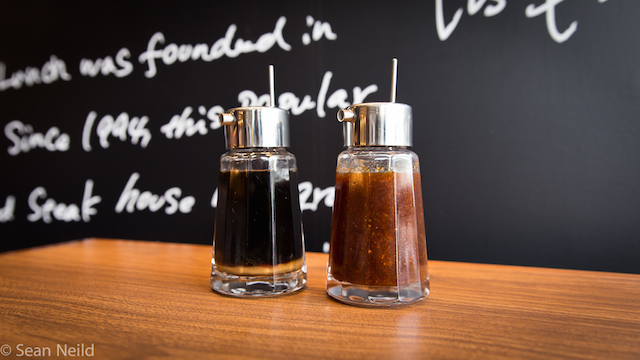 They also insisted on MSG-free spicy soy and honey garlic sauces which had to be specially developed for the Canadian market. 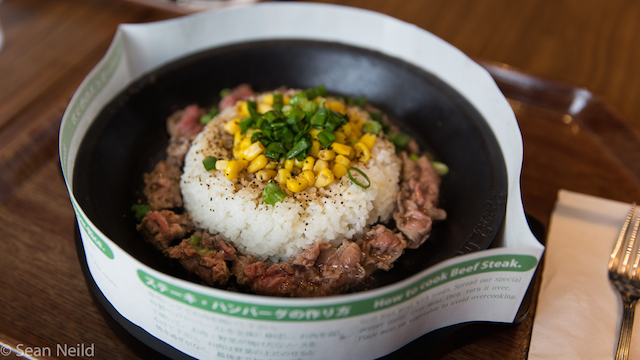 Pepper Lunch started in 1994 by Pepper Lunch founder, Chef and Inventor Kunio Ichinose who wanted diners to cook their steak, meat of choice, and seafood to order on a special patented hot plate he developed. The cast iron hot plate is heated to 260 degrees Celsius in a matter of seconds. Using induction cooking technology, the plate is sizzling hot at the table, so you cook your food and decide when it’s ready. The hot plate maintains a temperature of around 80 degrees for 20 minutes so your food stays warm without over cooking. The concept took off and now there are more than 350 Pepper Lunch locations worldwide in Japan, China, Philippines, Singapore, Taiwan, Indonesia, Thailand, South Korea and Australia. The signature Beef Pepper Rice ($8.95) is a great place to start on the menu (also available with salmon or pork). With thinly sliced beef, this doesn’t take to long to cook. After a couple minutes, you’ll want to mix everything together before eating so you get those delicious crusty browned bits of rice mixed with the beef. With a lot of fried rice dishes I’ve had before, the rice can be on the mushy side. However, this was totally different as they use a high quality Japanese short grain rice. The meat was really tender and it got a good sear from the hot plate. The rice also did a great job soaking up all those delicious juices and brownings from the meat. Another signature item is the the Kobe Style Beef Burger ($12.95). Unlike the rest of the entrées, this is mostly cooked in the back and just finished at the table. 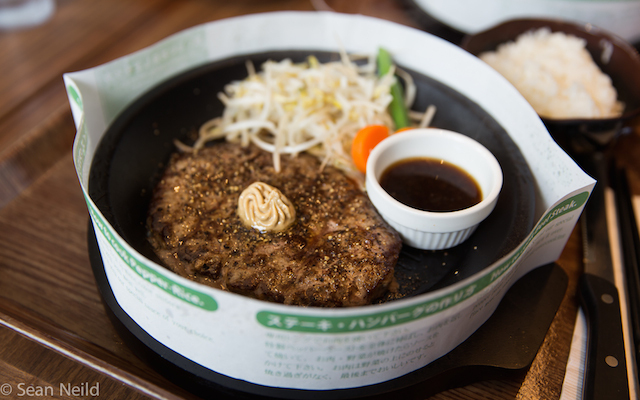 Pepper Lunch doesn’t use any fillers in the Kobe patty so rest assured you’re getting 100% beef. 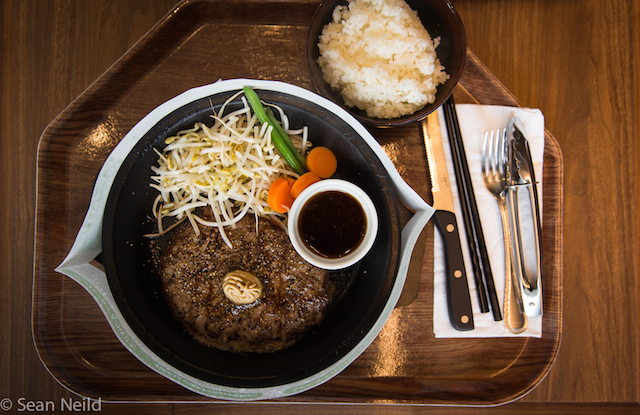 They serve this with a sweet onion sauce which I really liked as it added a nice roundness to the beefy Kobe. Moving onto the steaks, I had NY cut Angus Beef Steak ($25.95). After letting the steak cook for a couple of minutes and spreading that butter on it before turning it to finish it, I let the meat rest on the mixed vegetables on the plate which also prevents overcooking. The steak was juicy and delicious and I really loved how the umami butter let the great beef shine. 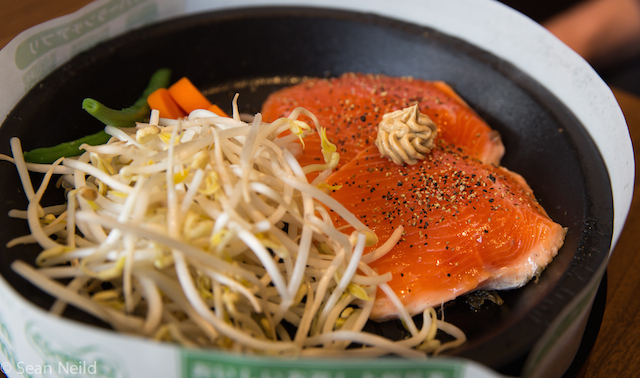 I finished up with the locally sourced sashimi grade Pacific Salmon ($10.95). This was one of my favorite plates of the day as the salmon was juicy and cooked perfectly. What took this over the top for me was the honey garlic sauce because it added a nice sweetness that complimented the delicate salmon. Pepper Lunch Canada is a welcome addition to the Richmond dining scene and I can’t wait for their location to open in Downtown Vancouver later this year. The dishes I tried were all delicious and the quality can’t be beat for a fast casual restaurant. 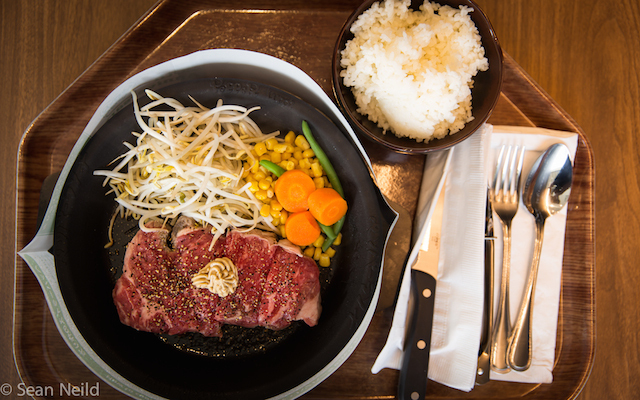 Pepper Lunch Canada will be hosting their grand opening on March 14th, 2015, so start planning what sizzling teppan eats you’re going to get on opening day.